In the pet industry, it seems there is always something happening at some point in time. With the industry divided into sectors of manufacturers, retailers, groomers, breeders, bloggers, and more; it seems everyone has an event tailored especially for them. American Pet Professionals recently released a 2017 Pet Industry Events calendar full of activities for anyone, including pet parents, who is involved with the industry. As we scrolled through the list of events, some questions came to mind: Who is coming to these? Who do we need to make sure we're in front of, and how can we best take advantage of meeting pet professionals in our industry face-to-face? There's many events happening in the U.S. that cater to our industry, but they are expensive to attend and many may not be relevant to your sector. Therefore, we pulled together the top four events, including trade shows for pets, that are important for pet product manufacturers and retailers to attend in 2017. First up, and right around the corner, is the 2nd Annual Pet Industry Leadership Conference held by Pet Industry Joint Advisory Council (PIJAC) and the American Pet Products Association (APPA). This is a brand new event which started in 2016 and was attended by "nearly 300 of the pet industry’s leading voices—CEOs, CFOs, owners, V.P. Sales & Marketing and other C-level executives" (PIDA.org). While not everyone may be high enough on the corporate ladder to attend this conference as of now, it's definitely one to aspire to. The pet industry's leaders get together and focus on problem solving rather than selling. Set up as more of a networking event than a trade show, it's meant to be a relaxed and collaborative setting for some of our industry's top leaders. The best part about the conference? It's located in beautiful Southern California (where we are based, by the way) in a beautiful beachfront setting. If you're looking to get away from the cold in the middle of Winter, this is the place to go. It appears those interested may still have a chance to sign up, but will be charged a late fee on top of the regular registration fee. If you're unable to go this year, it's definitely something to put on the books for 2018. Click here to visit PILC2017's website. Next up is the event everyone is talking about, especially this time of year. With only two months to go, retailers and manufacturers alike are working around the clock to get preparations ready for one of the pet industry's largest events in the world. Hosted by the same organization as the Pet Industry Leadership Conference (APPA), Global Pet Expo boasts 1,087 exhibitors and 3,218 booths (as of 2016 event). More than 70 countries are represented at the event located in Orlando, Florida that brings all pet professionals together. If there's a pet trade show to miss, it's definitely not this one. According to the website, "The Show features 13 football fields’ worth of pet products, more than 3,000 product-launches and 150 first-time exhibiting companies" and is ranked as one of the top 100 trade shows in the nation by Trade Show Executive Magazine. The biggest challenge to going to an event like this is accurately preparing for it. Because there's so much to see and do in just three days, planning out your visit is crucial to success. Keep an eye out for our guide to preparing for Global Pet Expo in just a few weeks. In the mean time, feel free to check out where we will be located so we can have a chat with you about your needs and plans for 2017-2018 and beyond. We'd love to find out your current challenges and goals so we can work together to accomplish them, together. Click here to visit Global Pet Expo's website. If you're a pet food manufacturer or a retailer that sells it (so every single pet specialty retailer), the Petfood Forum is definitely an event you're going to want to be aware of, if not attend. The conference "deliver[s] the opportunity to learn the latest research and innovative information on pet nutrition, global pet food market growth, pet food safety, processing, packaging and much more—all from leading, recognized pet food industry experts" (Pet Food Forum). There's no argument that pet food is essentially the backbone of the pet industry. With the category taking up (estimated) $24.01 billion of the $62.75 billion industry in 2016 (APPA), it's the one category that continues to drive growth year after year. With this said, there's no question as to why this conference should be of particular importance to pet professionals. Although you may not be able to physically attend every year, there are usually updates and reports that are published real-time and post event which will be important to track. However, if you are able to go, it will be a fantastic opportunity to meet with the top pet food manufacturers. With so much happening with pet food lately, it will be an event that is extremely difficult to miss out on. Click here to visit Pet Food Forum's website. SuperZoo, which is hosted by World Pet Association (WPA), is the United States' other large pet trade show for pet product manufacturers and pet specialty retailers to get together and, well, sell. If you're like other pet insiders, you likely struggle with deciding between attending Global Pet Expo or SuperZoo in any given year. Although these are costly events, particularly to those who exhibit, it is still very much recommended to attend both. However, if you can only do one or the other, SuperZoo is always a great option. Similar in size to Global Pet Expo, SuperZoo takes place in Las Vegas, Nevada and sees about 11,000 people every year, with each year growing from the one before. Catered towards making a connection between pet product suppliers and retail buyers, this pet trade show offers a unique chance to see everything the top manufacturers have to offer, including new products which are featured in the New Product Showcase. This event is perfect for those willing to make a mark on the industry with new and exciting products for 2018. However, it will only work if done correctly, and our brands understand that. Not only do our brands properly prepare to "wow" buyers with their booths and products, but our company puts an emphasis on establishing real relationships with our retailers that is unlike any other. Coming to one of our manufacturers' booths, you won't find us saying "buy this!" but instead we'll ask you what challenges, if any, we can help you address. If you aren't a right fit for any of our products, we'll let you know quickly so you can move on to what's important. We understand planning for large trade shows like these can be time consuming and very costly. The best way to properly prepare is to keep close track of your budget, including making sure you don't promise to "overbuy" at shows when you are being wowed by manufacturers. 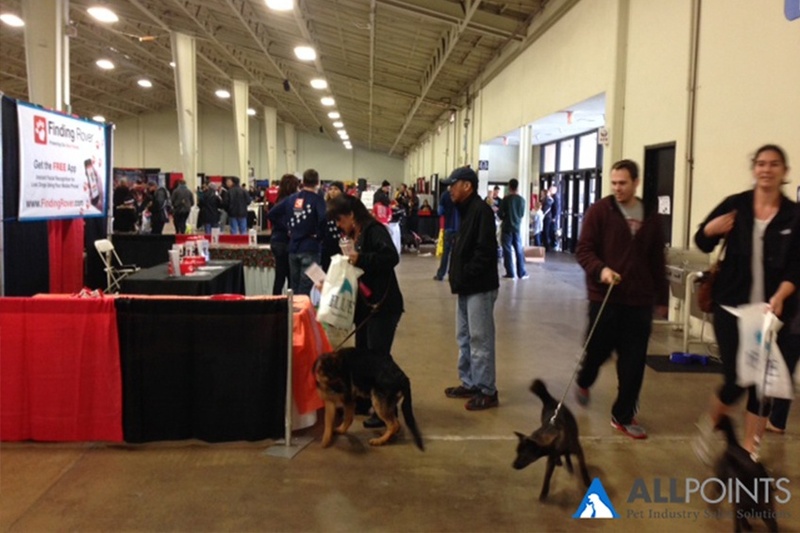 We put together a quick template you can use to prepare for any pet trade show you attend, just so you'll be ready. Click here to visit SuperZoo's website. Find out more about these events and others that are happening all around the pet industry. Take a look at APPA's 2017 Pet Industry Events Calendar here, and post below which events you're planning on attending this year!